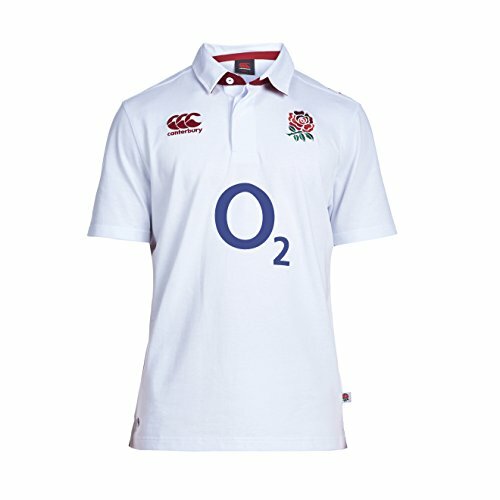 The England Home Classic Rugby Jersey heralds the classic design of an all-white traditional England jersey allowing the iconic red rose emblem to take center stage contrasting against the white. 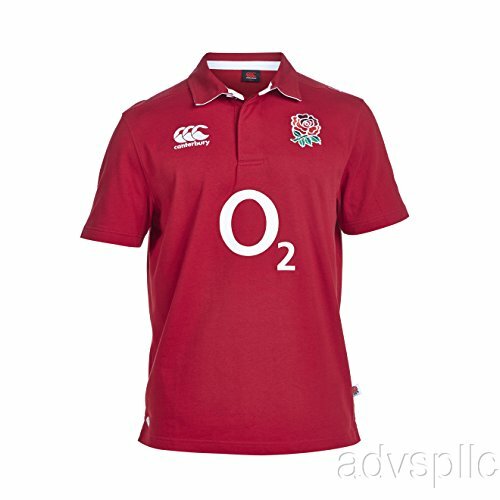 This jersey features traditional placket neckline with three buttons. The construction of the rugby shirt reflects the heritage of Canterbury and rugby shirts in general; timeless, rugged and well crafted. This class shirt is engineered from jacquard single jersey and pique hooped fabric encompassing the CCC logo, sponsor and red rose emblem on the chest. 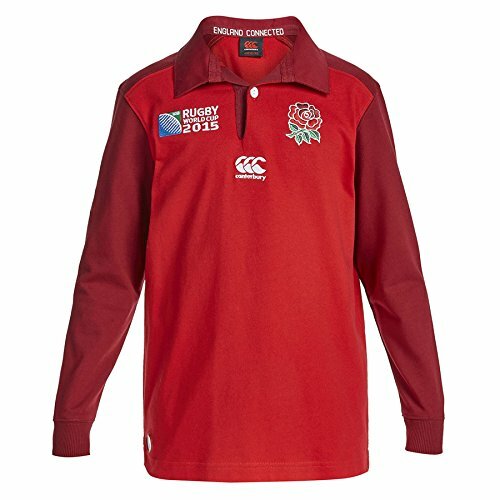 The Classic Short Sleeved cotton England rugby shirt has great history, memorable images of the Richard Hill making tackle after tackle in his baggy cotton jersey. 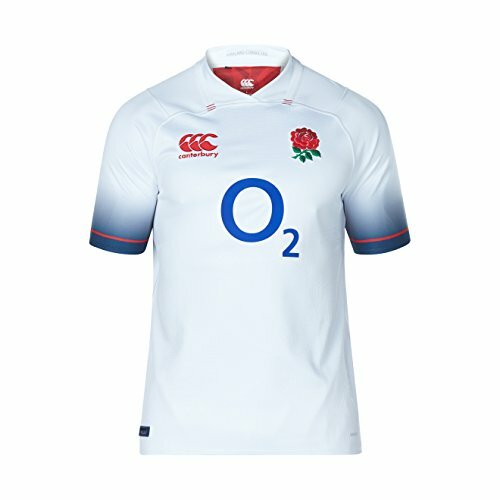 At Canterbury we understand that there will be a place in rugby history for cotton jerseys, that's why we have produced a classic England supporter's jersey. The England values of Teamwork, Respect, Enjoyment, Discipline and Sportsmanship have been woven into the DNA of all the England garments. 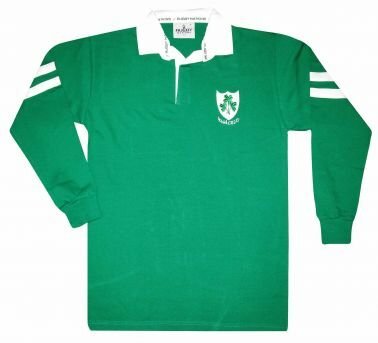 This heavyweight Ireland rugby style shirt has a fully embroided Shamrock crest on the chest and is ideal for all Ireland rugby fans. 100% Premium cotton. Forget trying to keep up with the latest kit. These classic ruggers say it all. • 55% Cotton 45% Polyester. • Cotton Traders and England embroidery to chest. • Embroidered shields to under collar. • Printed Nation back neck buggy. The 2017/18 England home kit has arrived! 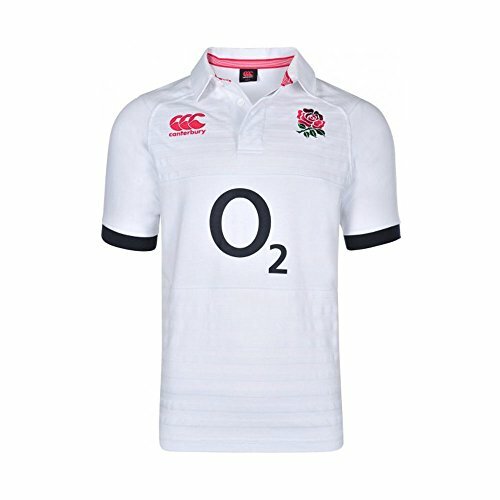 This latest version of England's iconic white jersey features added red stripe and blue fade sleeve detailing and the England flag at back neck. The traditional rose is at right chest, as usual with the CCC logo at left chest. 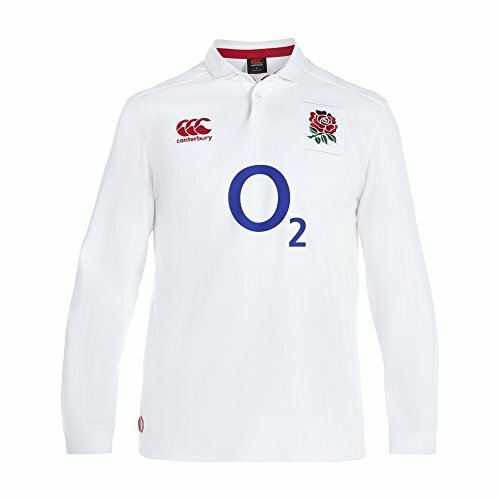 England sponsor O2 printed across the chest. Made with Vapodri+ technology, this Home Pro Jersey is as functional as it is classic. 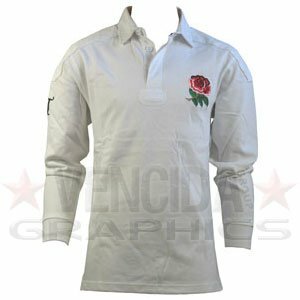 Looking for more Classic England Rugby Shirt similar ideas? Try to explore these searches: Personalized Headcovers, Black Fishnet Crotchless Bodystocking, and Wicking Polyester Class 2 T-Shirt.